PR consultant Claire Barber has won her court claim against 'Angel of the North' Katie Cutler, who famously raised money for a disabled mugging victim, over unpaid fees. Cutler was ordered to pay £6,200 to Barber by a Newcastle County Court judge yesterday, after he ruled she had agreed a £550 daily fee for generating coverage but had not paid her bill. Cutler - who raised £330,000 for Alan Barnes last year in a story that grabbed national headlines - asked for the assistance of Barber’s PR agency to publicise her cause. Barber secured coverage across national newspapers, regional and national TV channels, including ITV’s This Morning programme, as well as radio for her client. She billed Cutler nearly £6,700 for 14.5 days work over a four-month period, but Cutler claimed the agency had been appointed to help launch a charity, from which the fees would be taken, and that she had not signed anything. Barber claims Cutler refused to negotiate even the terms of payment and had instead given negative interviews about her agency to newspapers. But yesterday, a judge told Cutler that the disputed bill was a matter of contract law and he dismissed her application to challenge a previous County Court judgement in Barber’s favour. It also emerged during the hearing that Barnes, who suffered a broken collarbone when he was knocked to the ground outside his Gateshead home in January 2015, had sent Barber a cheque for the full amount owed by Cutler last month. But Barber told reporters she felt Barnes had been pressurised into making the payment and had declined to cash the cheque, preferring to await the outcome of the hearing. In a statement released following the launch of the legal action in September, Barber said: "We are incredibly shocked with the way Katie has belittled our hard work and devotion to the four-month project that Katie commissioned us for... We are PR professionals and we deserve to be paid." Cutler received a British Empire Medal for her charity work in last year's Queen's Birthday Honours. 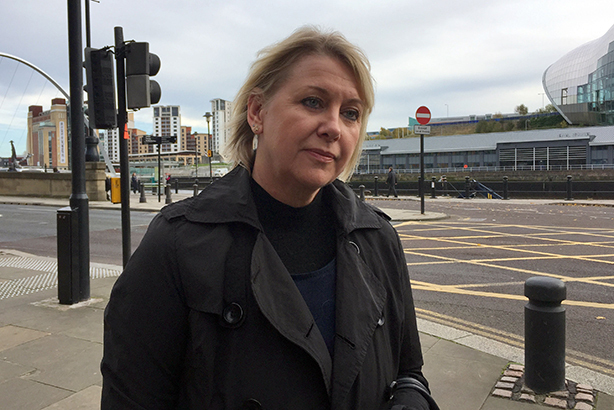 Speaking outside court yesterday, Cutler said she was disappointed by the ruling and that she would never carry out charity work again. While Barber has been abused on social media for having brought the court action, she has also received messages of support from the PR world and beyond.